The desert sky blurs against the cactus-dotted horizon as the speedometer climbs. I shift up, offering some relief to the engine as it races back towards redline. 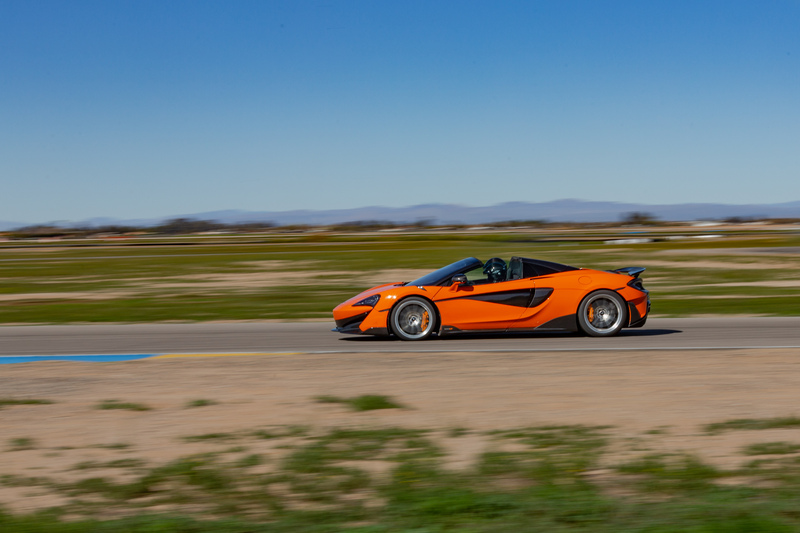 I’m crossing Arizona in the new McLaren 600LT Spider with the top down, and I can feel the early heat of a sunburn despite the cool air swirling around me. The 600LT Spider is the latest in the brand’s top-spec LT model designation, and is the drop-top follow up to 2018’s 600LT coupé. In either form, the 600LT is currently the top offering within McLaren’s Sports Series family, which is mostly formed around their very popular 570S and 570GT models. Despite its roots in the 570 Spider, nearly a quarter of the parts for the 600LT Spider are brand new. The goal is an increasingly raw experience, something more track focused, with specific improvements in everything from power and grip to aerodynamics and weight reduction. It’s a wild thing, and the result is nothing short of incredible. I’ve spent a good bit of time in the 570S and the more powerful 720S (which is part of McLaren’s Super Series) and at first glance, the 600LT Spider doesn’t break the mould. 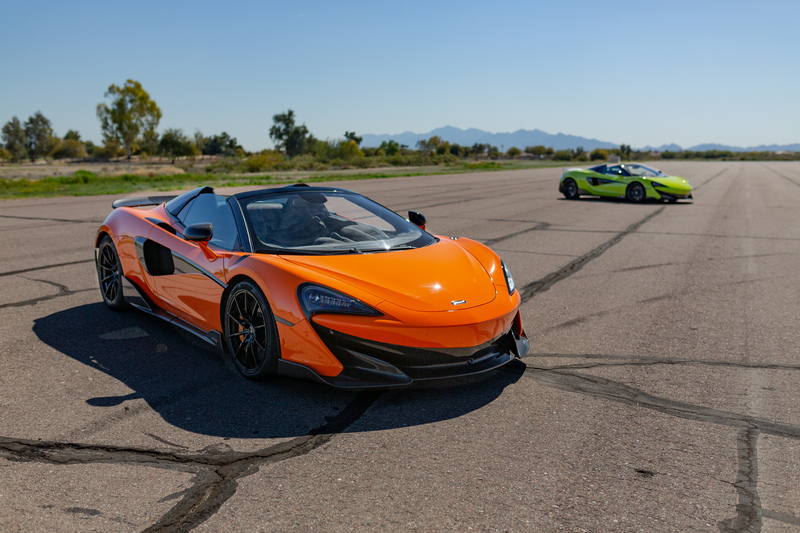 Crawling through the pickup truck-laden streets of Scottsdale, the McLaren may not fit in, but the 600LT Spider does feel like a McLaren—like a 570 Spider turned way up. The seats are fixed carbon buckets, I’m on race-ready tires, and I haven’t even considered putting the top up, which means I have wind, sun, and the endless engagement of the 600LT Spider’s 3.8-litre V8 and its raucous top-exit exhaust. 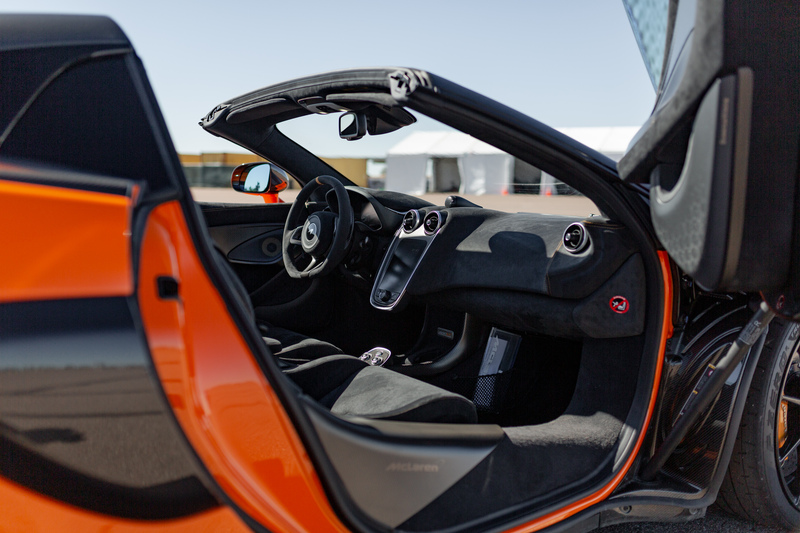 Producing 592 hp and 457 lb-ft of torque, the 600 LT Spider matches the coupé’s performance with a 0-100 km/h of 2.8 seconds and, with the roof up, this McLaren is capable of an incredible 325 km/h. Cutting a Helios Orange swath across the desert, those numbers couldn’t be less relevant. The 600LT Spider ensures all of the ability of the coupé while offering a supercar-appropriate roofless experience. The 600LT Spider is lighter, faster, sharper, and as happy on your favourite backroad as it is hot lapping at a local track day. Later that day, I pulled on a race helmet and buckled into the same car for an open lapping experience at Arizona Motorsports Park. Flying down the straight, my eyes are glued to the white cones that mark the start of my braking zone. Over the in-helmet radio, I hear “Don’t even think about braking at those pylons”. That voice belongs to the McLaren instructor sitting next to me. His job is to ensure that I get a chance to experience all that the 600LT Spider—or at least as much as my ability—can muster. Shooting way past the braking markers, I leap on the brakes at my instructor’s request, pitching into the corner. I can feel the 600LT Spider rotate beneath me, settle as I roll into the throttle, and then slide wide out of the corner as I bury the throttle in a short drift. 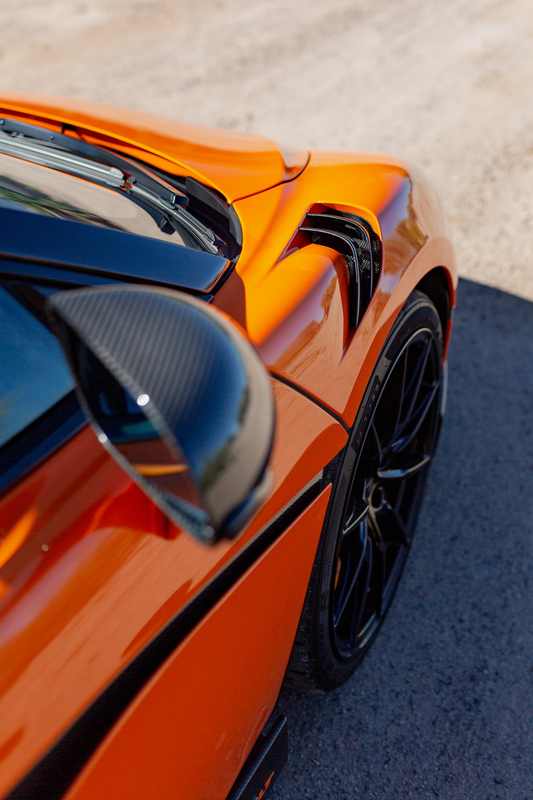 It’s exhilarating, and exactly why McLaren sells the track-toy-come-daily-supercars like the LTs. Priced from $298,500, the 600LT Spider is lighter, faster, sharper, and as happy on your favourite backroad as it is hot lapping at a local track day. It is a noisy, brightly-coloured handful of a car that makes you smile as it wiggles into a corner, slides on an exit, and spits flames on every shift. As far as I’m concerned, LT all the way—and don’t forget to drop the top.